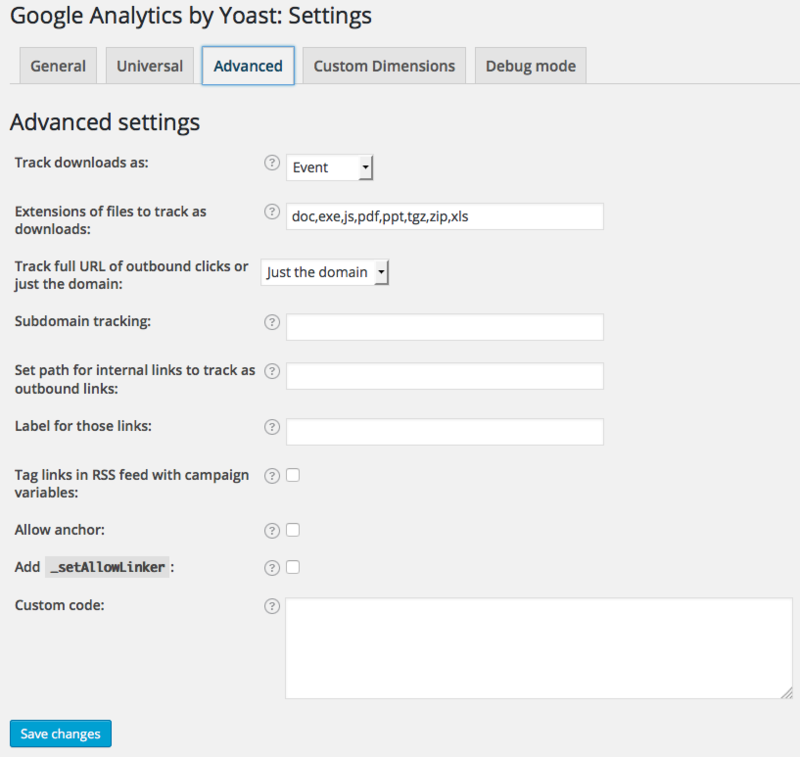 Google Analytics by MonsterInsights is a plugin that allows you to track your WordPress website easily, while and always staying up to date with the newest features in Google Analytics. Most themes have the plugin preinstalled. Tracking is very important when it comes to website management and maintenance. Statistics are crusial in pivotal decision making. Google Analytics by MonsterInsights helps you keep track of your website. All you have to do is authenticate it with your Google Account. This plugin uses the universal or the asynchronous Google Analytics tracking code, the fastest and most reliable tracking code of Google Analytics. Gives you visitor metric dashboards right in your WordPress install. Tracking of your search result pages and 404 pages. Full debug mode, including Firebug lite and ga_debug.js for debugging Google Analytics issues. Google Analytics by MonsterInsights is deactivated by default, but you can easily activate it by going under Plugins > Installed Plugins. 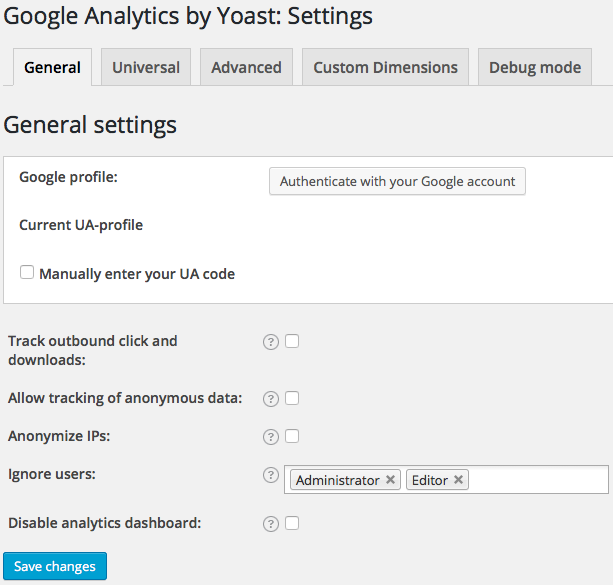 The first step in using Google Analytics by MonsterInsights is the authentication with your Google account. Open Analytics > Settings. In the General tab, press the “Authenticate with your Google account” button. Enter your Google credentials and copy-paste your Google code in the appropriate field. Select the right profile for your site from the list in Analytics Profile and click Save Changes. On the left-hand side menu, click on Analytics. 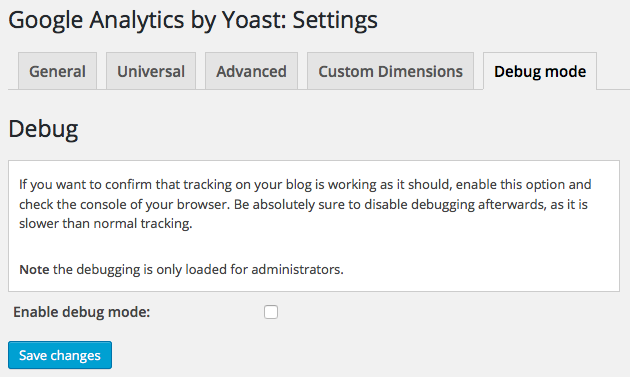 The Analytics settings will expand providing you with additional options. Click on Dashboard. Select one of the three tabs to check different reports. For detailed information on setup, please visit the MonsterInsights Knowledge Base.